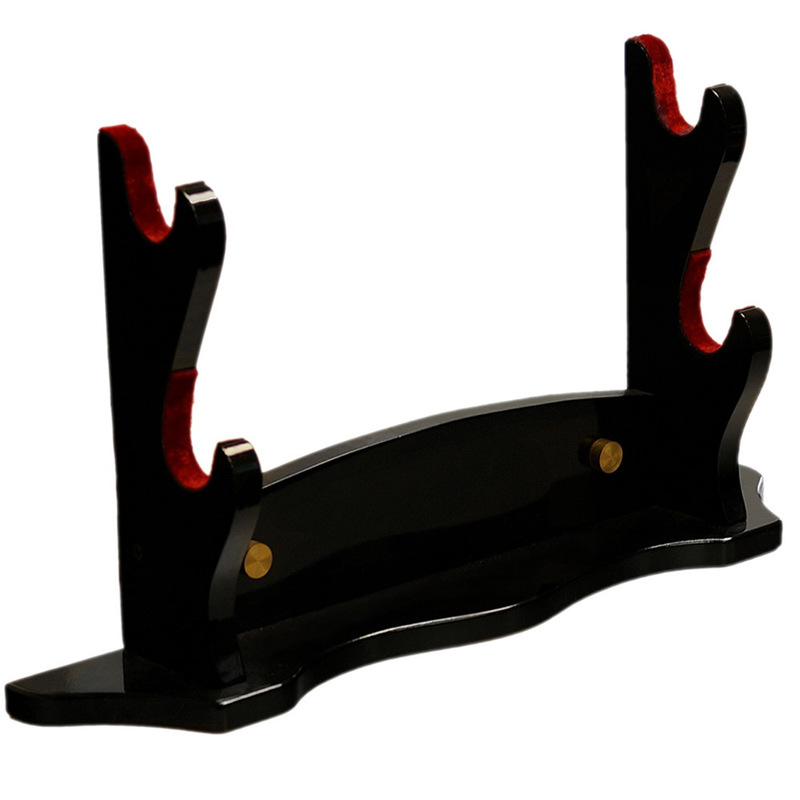 A high gloss finished single sword stand that will accomodate any two Japanese swords from full length Katana and/or Wakizashi. Tabletop, mantlepiece or wall mounting. Double Sword stand for table, mantlepiece or wall mounted display of Daisho set. See below for assembly instructions. Wood with high gloss piano lacquer finish and red felt to protect saya from scratches.